A lot of misconceptions have risen about the Gospel music in Nigeria but Gospel music remains the most dynamic genre of music in Nigeria. This is due to the role the church plays consciously or unconsciously in the distribution circle of the Gospel music. Unlike its counterparts who create their music and then struggle to create a fan base, Gospel artistes only have to create their music to suit the preference of the ready fan base put together by the church denominations. Hence, a gospel artiste may attain prominence within a church and remain unknown to the mainstream market yet maintain a vibrant and thriving ministry. The church, from inception has played a key role in the history and development of Gospel music in Nigeria as the church was responsible for the creation of the genre called Gospel music. Gospel music started from the conventional Christian music rendered during services and later metamorphosed into special rendition by choir as the church grew. There is a need to clarify here that Gospel music is different from Christian music contextually. While Christian music is any song that falls under the category of the precepts observed by the afore mentioned religion, Gospel music may not necessarily mean a song that can be presented or rendered in church. As a matter of fact, these days, we have seen Gospel artistes who classified their subgenre of Gospel music as “Alternative Gospel music,” “Outside Church music” and the most common being “Inspirational music.” Haven said this, if we are to look at the denotative meaning of the words, they both mean the same thing. Gospel music in Nigeria grew from just being church music into functions and events. This development became evident in the 1930s-50s, according to Omobiyi Obidike (1994). It began to cater to both the church and social interest, hence, Gospel music left the confines of the church. Choirs and groups were invited to radio stations where they were featured on programmes and made recitals. This can be likened to what is obtainable today where radio stations have special Sunday programmes, only this time, the Gospel music featured are on wax. One of the most prominent choirs of this period was the choir of Evangelical Church of West Africa (ECWA). While scholars have argued for or against the fact that Nigerian Gospel music started before the 1960s, one certain fact is that major developments began in 1960s with the pioneers as S.A. Adeosun of Christ Apostolic Church Yaba who released the first popularly known indigenous Christian music in 1965 titled “Kristi Mo Fara Mi Fun O” (To You Oh Christ I Give Myself) and S.O. Akinpelu of Christ Apostolic Church Oke Ayo, Opopo Iyemoja Ibadan who released “Teje Re Ni Koro” (Consider Your Blood) in the same year. Also Rev. T.M. Illesanmi who led the choir of St. Peter’s and Paul’s Catholic Church to release the album “Mo Ti Kole Mi Sori Apata” (I Have Built My House on the Rock) in 1967. By the 1970s, the Gospel music has been professionalized and extended its tentacles into the East with Brother Lazarus & Emmanuel spearheading the Eastern movement. Practitioners started to separate their music from the church and maintained a booking office. The 70s also witnessed – according to Rev. Femi Adedeji – the introduction of ‘spiritual’ style pioneered by Shola Rotimi and the ‘assorted’ style led by Bola Are and J.A. Adelakun, the introduction of oratorio form into Nigerian gospel music by S.O. Akinpelu and Bisi Adeoye-King, and the establishment of Christian singing groups in Nigerian gospel institutions of higher learning which also waxed gospel albums. In the 80s, Gospel music spread into the Northern region, also, the genre was ‘funkified.’ Prior to the 80s, what was obtainable was similar to the status quo that trailed the genre since its inception. Carol Brindi was arguably the first to funkify the Gospel music with the introduction of ‘Gos-Pop’ style in 1984 (Ajirire and Alabi, 1992). The genre became fully commercialized and assumed an entertainment function as well. Panam Percy Paul, Bola Are, Christ Apostolic Church Good Women choir led by Mrs. D.A. Fasoyin were amongst those who spearheaded this era. Christian music producers and promotion outfits began to spring up and these developments enhanced the growth of the musical genre. Also, the Gospel Musicians’ Association of Nigeria (GOMAN) and National Association of Gospel Artistes (NAGA) were established during this period. The likes of Funmi Aragbaiye, Ayo Ni Church Movement Choir, and more that sprung up during this period introduced more instruments to their music, thereby making the genre stand beside any other form of music there is. It can be said that Gospel music came of age in the late 80s/early90s. The music used to originate from the church in the early stages of the genre and then taking into the market but this period saw the music taken from the groups and artistes, and into the church. This was how some of the popular praise and worship songs in the church came to be. Radical forms and sub-genres such as Gospel-Fuji, Gospel-Waka, were also created. The conversion of secular artistes such as Chris Okotie, Sonny Okosuns and Ebenezer Obey-Fabiyi gave the genre a face-lift in the 90s while traditional musical elements were being incorporated into the genre. Nigerians were also introduced to the foreign counterparts with the introduction of foreign records into the market. This had a great influence on the new crop of artistes and the fans’ preferences. Christian recording studios, Christian music schools and some gospel music magazines were also established. Just like every other form of music in Nigeria (except Fuji and Juju), Reggae music also silenced the development of Gospel music in the mid-90s. This wasn’t to say that the genre didn’t have artistes who released records in this period. Of course the likes of Esse Agese, Onyeka Onwenu, also got converted. Chris Okotie’s sister, Lorine Okotie put out some of the best urban Gospel music of that era including “Jesus I Love You,” ‘Love Medicine” and the likes. The child-star Benita Okojie also put out great music in this era but Reggae reigned supreme above all other genres and the Gospel music too was at the receiving end. Sammie Okposo, Kenny Saint Brown, Mike Aremu and the Apostles were amongst the first to make it to prominence as Urban Gospel artiste with their hit singles – “Welu Welu” by Sammie Okposo, “You are Worthy” and “Heaven Came Down” by Kenny Saint Brown featuring Essence and “Jesus Makes Things Happen” by the Apostles in the new millennium. Soon enough, we had the likes of G-Vibes (from where Bouqui emerged), Word 2 God, Rooftop MCs, Kush, Jeremiah Gyang, Samsong, Asu Ekiye, Jahdiel, Eben, Buchi following in the same path. Samsong came with a dynamic urban sound that tilted towards R&B and so did Word 2 God. He entered into the Star Quest Competition and afterwards released his hit single “Count Your Blessings” to critical acclamation. Eben also brought Rock, a genre which was not wildly accepted at the time but he managed to cut across with “Imaramma” . Buchi followed in the Reggae trend of the preceding era of Nigerian music and broke in with “Mighty God”. 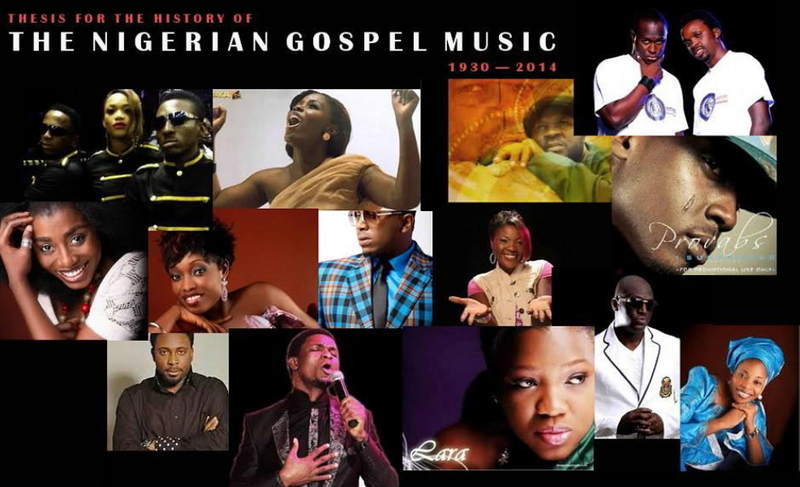 A common practice amongst Nigerian artistes during this period further gave Gospel music a facelift as artistes included atleast one or two Gospel inclined tracks in their albums. This helped in carving the new types of subgenres present in Gospel music as it took the music from the regular church folk’s music and diversified to more trendy and urban styles. An example is Paul play’s “Mo So Rire”, a remix of his father – IK Dairo’s original version. Gospel music became as commercial as any other genre of music in this period and Record labels took on Gospel artistes who have made it into the mainstream market while others groomed the artistes. Next Level Entertainment produced Bouqui, Kennis Music produced Kenny Saint Brown, DKG Music produced Kush and Chocolate Music Group produced Jeremiah Gyang. Gospel artistes also featured in regular shows and music. With dedicated platforms available to the Gospel music these days such as TV Stations, Radio Stations, Record labels, Shows and events, it is gradually taken shape becoming the alternative option of Nigerian music both for consumers and stakeholders. Artistes such as Frank Edwards, Joe Praize, Mike Abdul amongst others own their record label and are taking on other artistes. Rocktown Records owned by Frank Edwards has the likes of Gil, Victor Ike, amongst others, Mike Abdul’s Spaghetti Records is home to Monique. Joe Praize’s Coast2Coast is currently working on new artistes to be unveiled soon. Thavma Records, FreeNation INC, Dove TV, Loveworld Music Ministry, Zamar Entertainment, One Management, Tehila Records, X2D TV, Kingdom Africa, SelahAfrik, Praiseworld Radio, Gospogroove, Gospel Hotspot, Gospel Naija, Gospotainment, YadaMag, Gem Magazines, Gospelcentric, Exclusive Gospel, Liveway Radio are some of the dedicated platforms that are comprising the core of what is becoming the Gospel music industry today. Alex Amos is a Creative Writer, Journalist and Team Head at Lexyville Entertainment, publisher of SelahAfrik. His writing and media proficiency was enhanced by his studies in English Language/Literature in English at Lagos State University Ojo and Radio & Television Broadcasting at Adebola Adegunwa School of Communication. Alex is a columnist/short story writer at Alariwo.org. He also freelanced for online Magazines including Nigerian Entertainment & Lifestyle Magazine 360nobs.com. He was also on the team of OnoBello.com as the Entertainment Editor & PR Assistant for the mother company PR Uno. 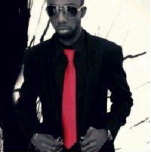 He is a publicist for leading brands and Gospel artistes. Welldone sir, I have longed for something this comprehensive. Great work sir. This is a great and highly commendable initiative.well documented and interesting write up.Well Done Alex!